Showers of blessings await those who will partake of the nuggets of inspirations contained in this blog. My personal prayers go out to you and your loved ones. God bless you all. King David enlisted three Levitical choirs and orchestras for the temple worship, led by Asaph, Jeduthun (or Ethan), and Heman (1 Chron. 16:37-41; 25:1-6; 2 Chron. 5:12). Psalm 77 was written by Asaph for Jeduthun. Asaph also composed Psalms 50 and 73-83. When our daughter and her fiancé began receiving wedding presents, it was a happy time. One gift they received was a bench cabinet that had to be assembled—and I volunteered for the task because they already had so much to do to prepare for the wedding. Although it took a couple of hours, it was much easier than expected. All of the wooden pieces were precut and predrilled, and all the hardware for assembly was included. The instructions were virtually foolproof. Unfortunately, most of life isn’t that way. Life doesn’t carry with it simple instructions, nor do we find all of the necessary parts in hand. We face situations with no clear idea of what we’re getting into or what it will take to pull it off. We can easily find ourselves overwhelmed with these difficult moments. But we need not face our burdens alone. God wants us to bring them to Him: “Be anxious for nothing, but . . . let your requests be made known to God; and the peace of God . . . will guard your hearts and minds through Christ Jesus” (Phil. 4:6-7). We have a Savior who understands and offers His peace in the midst of our struggles. The secret of peace is to give every anxious care to God. Writing while imprisoned, Paul reminds the believers in the church at Philippi not to be anxious about anything. But these familiar verses should not be detached from what follows. After telling the believers not to be anxious (v.6), Paul encourages them to focus their minds on positive virtues (v.8). The two teenage boys heard the sound of their parents’ car and panicked. How would they explain the mess in the house? Their father’s instructions had been clear that morning before he and their mother drove out of town: no parties, no rowdy friends. But the unruly friends came and the boys allowed them to stay, despite their father’s warning. Now the house was in a jumble and the boys were tipsy and disheveled. In fear, they hid. That was how Adam and Eve must have felt after they had chosen to disobey God and then heard the sound of Him approaching. In fear, they hid themselves. “Where are you?” God called (Gen. 3:9). Adam responded, “I heard Your voice in the garden, and I was afraid because I was naked; and I hid myself” (v.10). Sin makes us feel afraid and naked, and we become vulnerable to even more temptation. God is still calling to people: “Where are you?” Many run away, trying to hide from Him or drown out the sound of His voice. Yet we cannot hide from God; He knows exactly where we are. Rather than hide in fear, we can respond in this way: “God, be merciful to me a sinner!” (Luke 18:13). The only place to hide sin is under the blood of Christ. God did not force Adam and Eve to obey Him but allowed them to choose. Similarly, He did not force them to come to Him after they sinned. Instead, He called to them and allowed them to respond to His call. No better word picture than sheep can be found to illustrate our need for a trustworthy leader. We are all, Isaiah wrote, like sheep (Isa. 53:6). We tend to go our own way, yet we desperately need the sure direction of a shepherd. Psalm 23 describes the trustworthiness of our Good Shepherd. He cares for us (v.1); He provides for our physical needs (v.2); He shows us how to live holy lives (v.3); He restores us, comforts us, heals us, and bountifully blesses us (vv.3-5); and He will not abandon us (v.6). What a comfort to know that God gently but firmly leads us! He does so through the urging of the Holy Spirit, the reading of His Word, and through prayer. God is the reliable leader we need. The Lamb who died to save us is the Shepherd who lives to guide us. Today’s familiar and beloved psalm has brought comfort and hope to many. And well it should. This psalm celebrates all that the Good Shepherd does for His sheep. The greatest benefit comes in the last verse: We will “dwell in the house of the Lord forever” (v.6). God does so much to provide for and care for His sheep. However, there is an implicit idea in this text that should not be overlooked: Sheep follow their shepherd. The blessings and comfort of this psalm do not come to sheep that do not follow the Shepherd. As Jesus reminds us, “My sheep hear My voice, and I know them, and they follow Me” (John 10:27). My sons’ birthdays are in December. When they were small, Angus quickly learned that if he didn’t receive a longed-for toy for his birthday at the beginning of the month, it might be in his Christmas stocking. And if David didn’t receive his gift for Christmas, it might appear for his birthday 4 days later. Delay didn’t necessarily mean denial. It was natural for Martha and Mary to send for Jesus when Lazarus became seriously ill (John 11:1-3). Perhaps they looked anxiously along the road for signs of His arrival, but Jesus didn’t come. The funeral service had been over for 4 days when Jesus finally walked into town (v.17). Martha was blunt. “If You had been here,” she said, “my brother would not have died” (v.21). Then her faith flickered into certainty, “Even now I know that whatever You ask of God, God will give You” (v.22). I wonder what she expected. Lazarus was dead, and she was wary about opening the tomb. And yet at a word from Jesus, Lazarus’ spirit returned to his decaying body (vv.41-44). Jesus had bypassed simply healing His sick friend, in order to perform the far greater miracle of bringing him back to life. Martha, often maligned for her attitude in Luke 10:38-42, displays great faith in today’s passage. Not only does she believe that Jesus has a special relationship with the Father (John 11:22), she also affirms her confidence that Jesus is, in fact, the Son of God (v.27). One year when our family was traveling through Ohio on the way to Grandma’s house, we arrived in Columbus just as a tornado warning was issued. Suddenly everything changed as we feared that our children might be in danger. I mention that story to help us imagine what it was like for Joseph’s family as he, Mary, and their young child traveled to Egypt. Herod, not a tornado, threatened them as he sought to kill their little boy. Imagine how frightening it was for them, knowing that “Herod [sought] the young Child to destroy Him” (Matt. 2:13). We usually take a more idyllic view of Christmastime—lowing cattle and kneeling shepherds in a peaceful scene. But there was no peace for Jesus’ family as they sought to escape Herod’s horror. 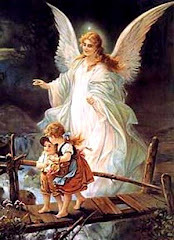 Only when an angel told them it was safe did the family go out of Egypt and back home to Nazareth (vv.20-23). Consider the awe we should feel for the incarnation. Jesus, who enjoyed the majesty of heaven in partnership with the Father, set it all aside to be born in poverty, to face many dangers, and to be crucified for us. Coming out of Egypt is one thing, but leaving heaven for us—that’s the grand and amazing part of this story! Jesus came to earth for us so we could go to heaven with Him. Today’s passage is both a harrowing and a comforting account of early events in Jesus’ life. Verse 15 reminds us that the threat to His life and His family’s hasty escape to Egypt were within God’s plan. At our house some Christmas events are the same each year. Among them is my wife Martie’s appeal to the kids and grandkids as they attack their gifts: “Save the paper, we can use it next year!” Martie loves to give nice gifts, but she also appreciates the wrapping. Presentation is part of the beauty of the gift. It makes me think of the wrapping Christ chose when He came as a redemptive gift to rescue us from our sinful selves. Jesus could have wrapped Himself in a mind-boggling show of power, lighting up the sky with His presence in a celestial show of glory. Instead, in a beautiful reversal of Genesis 1:26, He chose to wrap Himself “in the likeness of men” (Phil. 2:7). So why is this wrapping so important? Because, being like us, He is no stranger to our struggles. He experienced deep loneliness and the betrayal of a dear friend. He was publicly shamed, misunderstood, and falsely accused. In short, He feels our pain. As a result, the writer of Hebrews tells us that we can “come boldly to the throne of grace, that we may obtain mercy and find grace to help in time of need” (Heb. 4:16). When you think of the gift of Jesus this Christmas, remember to keep the “wrapping” in mind! of the mercy and grace You offer to make us victorious. Don’t disregard the wrapping of the best Christmas gift of all. Philippians 2:5-11 is perhaps the greatest declaration of Christ’s deity and humanity in the Bible. In His incarnation, Jesus did not replace His deity with humanity, but added humanity to His deity; He did not cease to be God, but surrendered the independent use of His divine powers and the right to manifest His own glory as God. Before He went to the cross, Jesus prayed that the Father would restore to Him the glory He had with the Father “before the world was” (John 17:5). Jesus’ prayer was answered when the Father “highly exalted Him and [gave] Him the name which is above every name, that at the name of Jesus every knee should bow . . . to the glory of God the Father” (Phil. 2:9-11). 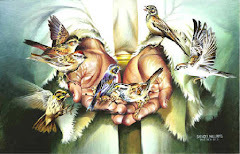 I am Mel Alarilla, male, married, a Christian trying to be of service to God & His flocks. I aim to spend the remaining days of my life sharing the Gospel and its message to unbelievers who are still groping in the dark. I have no personal motives in doing this but the desire to please God and glorify His name in everything that I do. I have no pretensions in life. I am not extraordinary nor do I claim to be sublime. I am an ordinary mortal who suffers the same pitfalls common to man.